The drifts of pure Sierra Nevada mountain snow that pile up in Yosemite’s higher countryside seem to scream out for attention of the fun-loving kind. You can indulge your love of the white stuff in many ways in the park. Beyond skiing, snowboarding, snowshoeing, and tracking animals, you’ve also got the family-friendly standbys of sledding, tubing, and snowman-construction—all within a theater of towering conifers and monumental granite formations. There are two excellent destinations for all-ages snow play in and around Yosemite National Park. The Crane Flat Campground near the junction of the Big Oak Flat and Tioga roads undergoes a transformation in winter, turning into a beloved snow-play area. Sledding, tobogganing, inner-tubing, snowball-battling—this is the place for all those classic all-ages activities. One caveat: Wintertime parking at Crane Flat is somewhat limited. Immediately outside the park to the south is another fantastic hub for snow fun: the Goat Meadow Winter Sports Area in the Sierra National Forest near Fish Camp. Managed by the U.S. Forest Service, this site is an ideal official zone for sledding and everything else. Yosemite in winter astounds with its magnificent landscapes and expansive opportunities for solitude. It’s a place for serene moments of reflection in snow-clad groves or beneath peaks ablaze with alpenglow, but also for wild fun on woodsy sledding hills. Book yourself a deliciously cozy cabin with Scenic Wonders so you've got the perfect home-base for all of your wintertime fun in the jaw-dropping Sierra Nevada! During the winter the Badger Pass ski areais a wonderful place to enjoy such snowy activities as downhill skiing, snowboarding, sledding, cross-country skiing and snowshoeing. The beautiful ski runs at Badger Pass offer amazing views of Yosemite Valley, including Half Dome and El Capitan. 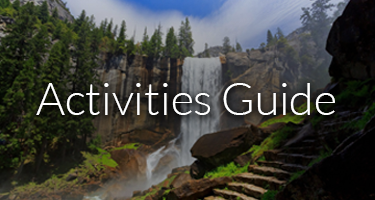 If you’re looking to explore Yosemite, start planning your trip with Yosemite’s Scenic Wonders. We offer Yosemite reservations within the gates of the park. 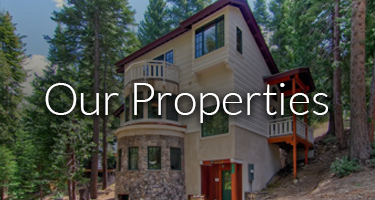 With one of our cozy cabins, condominiums, or homes, your Yosemite accommodations will be just minutes from all the wonderful spots in Yosemite. 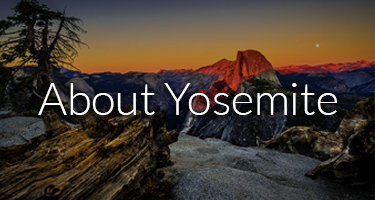 Give us a call at 1-888-YOSEMITE (1-888-967-3648) to learn about our rentals and to make your Yosemite reservations today.